Calling All Colorado All Star Cheerleaders and Coaches! If you’re looking for a cheerleader championship to really show the world what you can do, then sign up for our competitions in Colorado. We, at Worldwide Spirit Association, know that you have spent months perfecting your routine. Now that your stunts are hitting, your tumbling is maxed out, and your jumps are timed perfectly, your team is ready to confidently hit that mat. Whether you’re a gym owner or a coach, we can’t wait to see your team perform. 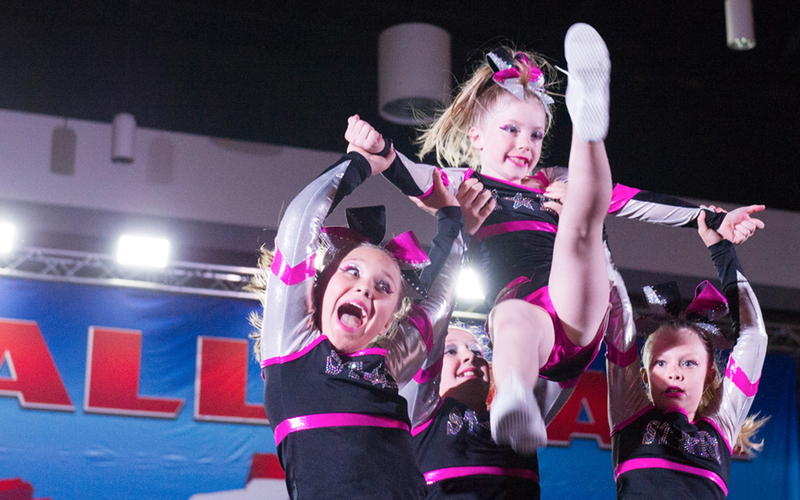 Our cheerleader championship competitions, including our Cheerleading Nationals held around the country, have been designed to showcase the talents of every athlete who puts in their heart and soul to cheer. From your experienced athletes on your top All Star teams to your beginners on your All Star Prep teams, our stage is the ideal place to shine. Whether you are traveling to Colorado for our competition, you are a native looking for a staycation, or you are searching for a great competition spot that can serve as a vacation spot for your athlete’s families, nowhere can quite match Colorado. Be sure to check out our hotels page to find accommodations within a reasonable distance from the competition site! Regardless of where you and your gym are from, we would love to see your team featured on our performance floor. To learn more about our cheerleader championship competitions, our nationals, or even our Cheerleading Worlds bids, contact us today! When it comes to competing, we ensure that your athletes and families get to experience our top technology, sound systems, and venues. We look forward to seeing your gym!